Another voice has entered the debate. NSW Business Chamber seeks far-reaching apprenticeship reforms. The Chamber’s proposals include system redesign, changes to VET for school students and a national careers advice service. On 23 November, the NSW Business Chamber launched a report proposing substantial reforms. 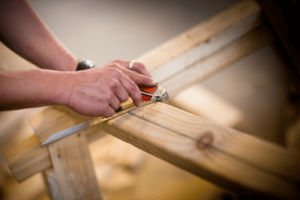 Laying the foundations for apprenticeship reform (56 pages) is intended as input to the NSW Government’s Review of the Apprenticeship and Traineeship System. The Report’s author, Peter Noonan, puts a strong case for action in five areas. The apprenticeship system has evolved to incorporate a range of service delivery organisations and government agencies. It has become increasingly inefficient and overly complex. Second, expand and extend the apprenticeship system through making higher apprenticeships available and improving apprenticeship opportunities by developing industry specific apprenticeship strategies. Third, create a new model to deliver VET, including apprenticeships, to senior secondary students. Noonan argues VET and apprenticeships are lost in school systems that favour the academic track. He wants to see TAFE and other VET providers involved in direct delivery of VET for senior secondary students. Fourth, increase focus on the ‘front end’ of apprenticeships, because that’s where most apprentices are lost. Fifth, promote the benefits of apprenticeships through a sustained, industry-led public awareness campaign to promote apprenticeships and the career outcomes they can achieve. … significant increase in apprenticeships in the period from March 2009 to December 2010, during and in the aftermath of the Global Financial Crisis – a period when overall employment growth fell. While apprenticeship commencements have dropped off from this peak, they have now recovered slightly and stabilised in the first quarter of 2016, slightly above commencement levels in 2005. The major decline has been in traineeships in non-trade occupations.